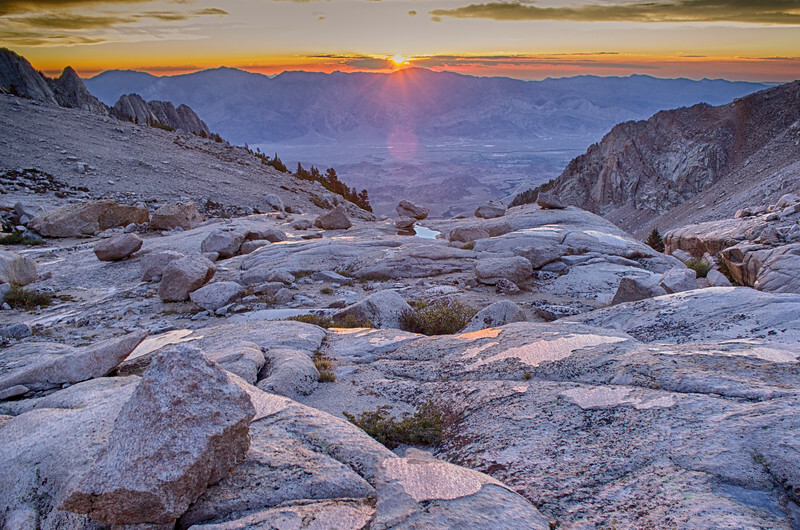 Sunrise at 11300 feet (3444 m) lights up glassy patches of "glacial polish" on hard white granite. The granite had been ground smooth by hundreds of tons of glacial ice flowing over this spot, thousands of years ago. Those small boulders you see? They're called "erratics"...dropped here from the ice, when the glacier melted. Photo note: it may look serene, but the temperature was below freezing, and the wind was blowing hard when this was taken!